Don't worry, guys. This won't turn into one of those 'only healthy food' blogs. Because, you see, the healthier I eat, the more butter and cream I can use in my desserts. It balances out! Now that I'm back at work, I need to eat a quick breakfast. I'm not working with food anymore, so if I don't eat before I go to work I might not eat for 6 hours. So I've been drinking breakfast smoothies, and eating granola, and now added this to my repertoire. 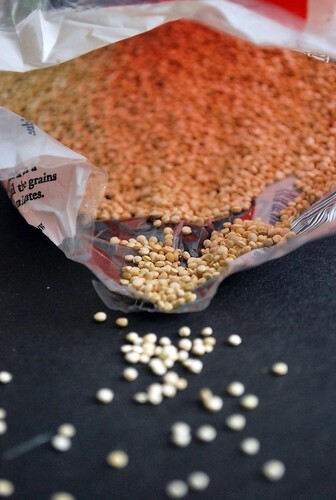 Quinoa is so awesome. It's healthy and is a full protein, so a small breakfast of this will keep you full for a while. Flax seeds are full of omegas and fiber, and I have been using goat's milk yogurt, which is delicious, but you can use regular milk yogurt if you want, or soy yogurt if you are vegan. It's super quick to throw together when you make the quinoa the night before and keep a container in the fridge for the week. 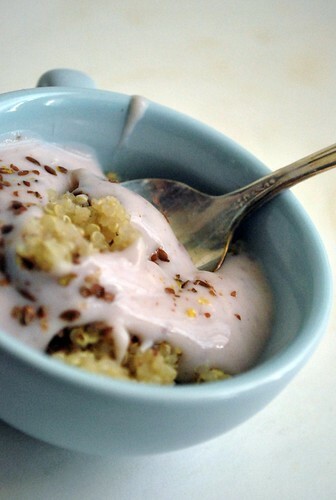 Stir together the quinoa and the yogurt, and top with flax seeds. Enjoy! Sorry, I can never stand to leave my typos alone. 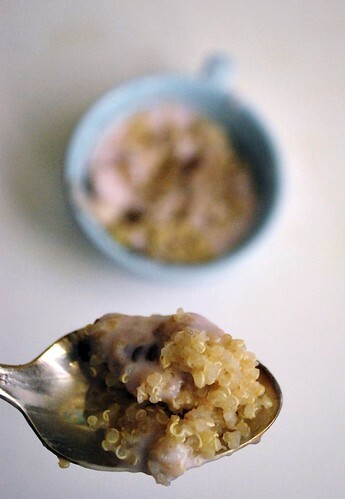 Quinoa for breakfast- what a great idea! I've been trying to find things that will keep me from getting hungry so quickly after breakfast, and quinoa has always stuck with me pretty well. I found your website as I perused GF blogs. I think the way you photographed pulled me in, but your recipes and your style is very photojournalistic...very cool! Easy to read, pleasurable on the eyes. Nice job! I like quinoa a lot. I never thought of using it for breakfast though. I'll definitely have to try it out. Thanks! you have provided a very useful information on recipies, those who want to prepare prepare recipies your blog is very helpful. 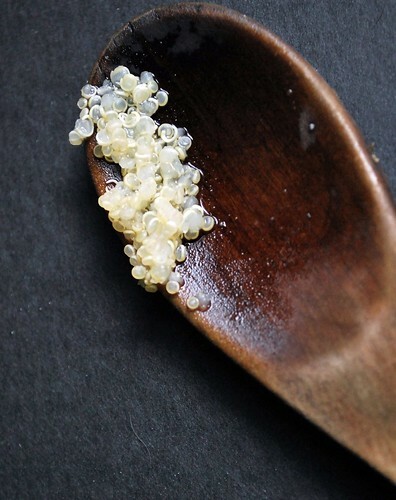 Thanks for sharing this recipe... Will try this!! GORGEOUS photos Jill! And sounds like a tasty combination too.